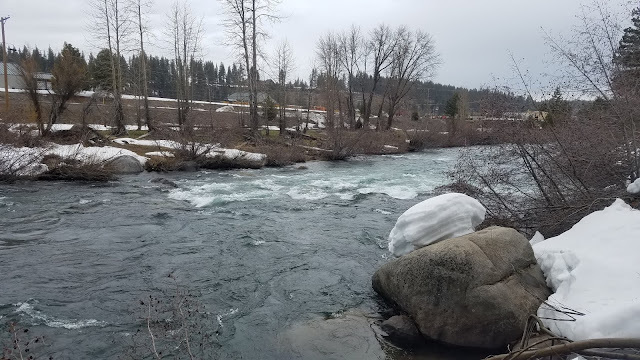 The Truckee River is currently in it's run-off stage with high flows near 1,200CFS. Despite raging waters and limited access the Truckee is known to produce big fish in times of big flows. With an upcoming storm front and no viable fishing options in the valley I decided to test my luck and discover the truth about the Big Truckee during high flows. 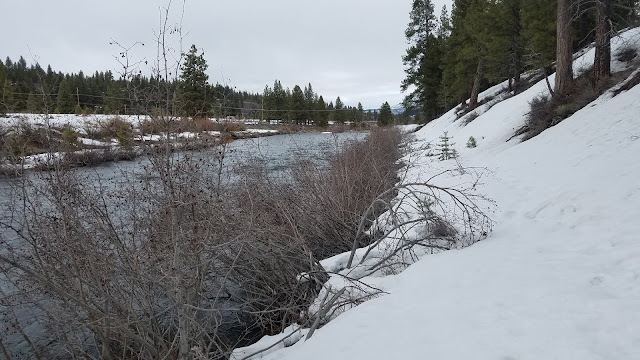 The Truckee is beginning to wake up after a long snow-packed winter. It was a beautiful overcasted day that was relatively warm. The birds where chirping, the snow was melting, and there were quite a few people out enjoying the weather. The river was definitely looking high but interestingly enough not unfishable. The water was swift, frigid cold, and had a slight clear blue tint to it. I knew that in order to be successful I had to find some fish to get an idea of what kind of water they were holding in. I bushwhacked my way through the snow covered trees to get to the river but found it difficult to fish around the trees without getting snagged. 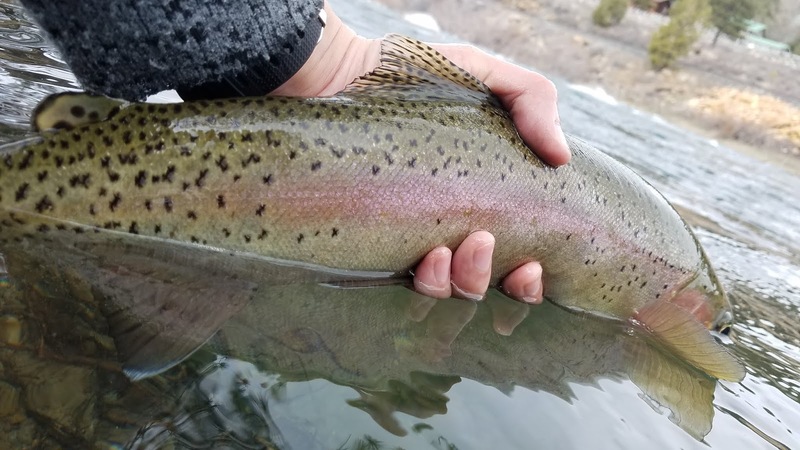 As I made my way downstream I was able to spot a few bright rainbow trout holding in what was essentially a small nook behind some sunken tree branches. They were super close to the bank spooked as soon as they saw me but at least I knew what kind of water I was looking for. Once I made my way to some clearer access points with less sunken trees I started to have better luck. I lost the first two fish I hooked but afterwards landed the most fish I had ever caught on the Truckee through the next several hours. 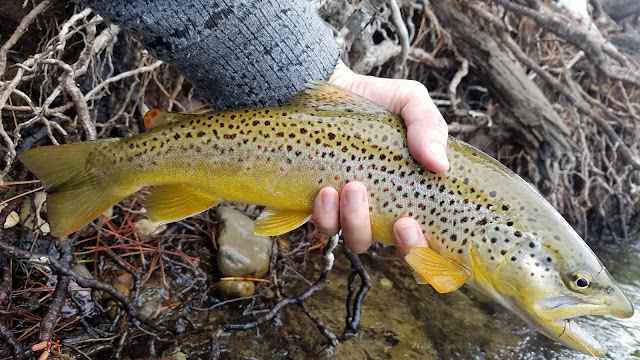 All my fish were on a rubberlegs stonefly pattern either high-sticked right off the bank or on an indicator through slower slots of water. I covered about two miles worth of water and was well rewarded. All the fish I caught were healthy chunky fish. I'm astonished on how well the Truckee River fishes during such high flows. I am now a true high flow believer.